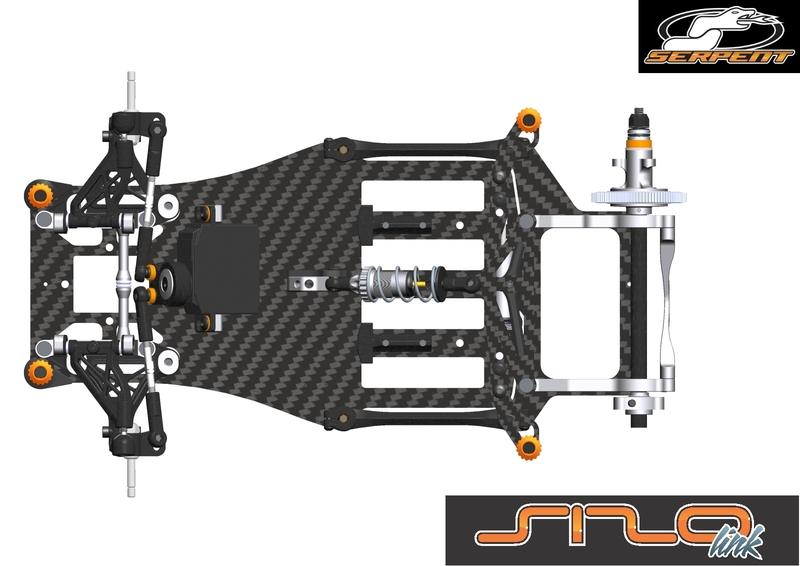 The S120 Link chassis consists of 2 main elements, the 2.5mm thick carbon fibre chassis plate and the rear aluminium motor pod. 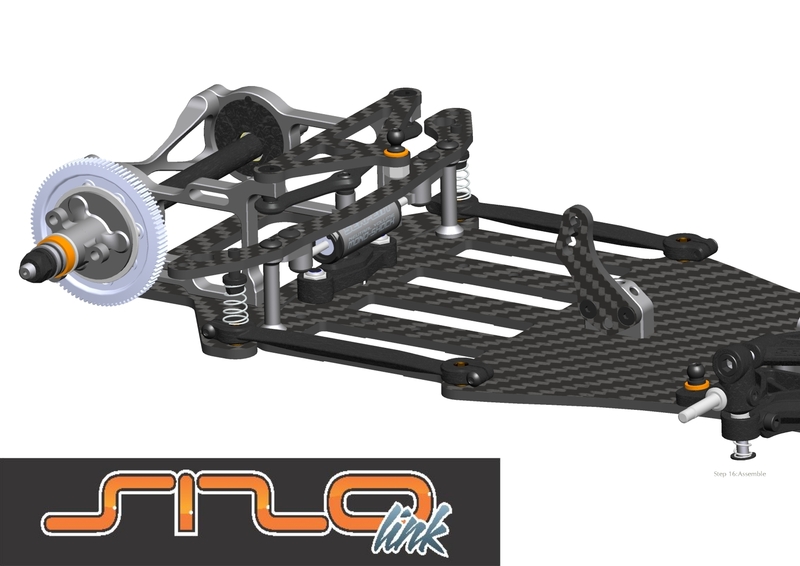 The chassis uses a Link-system , and is damped using a conventional centrally mounted shock absorber together with a laterally mounted floating monoshock. Team V-Dezign will release all-new Carpet Ripper 3.0 1/12th scale upgrade kit soon! The new CR 3.0 has been tested track tested intensively thru the last few months at several different tracks with good results and will be ready to production soon in few weeks. 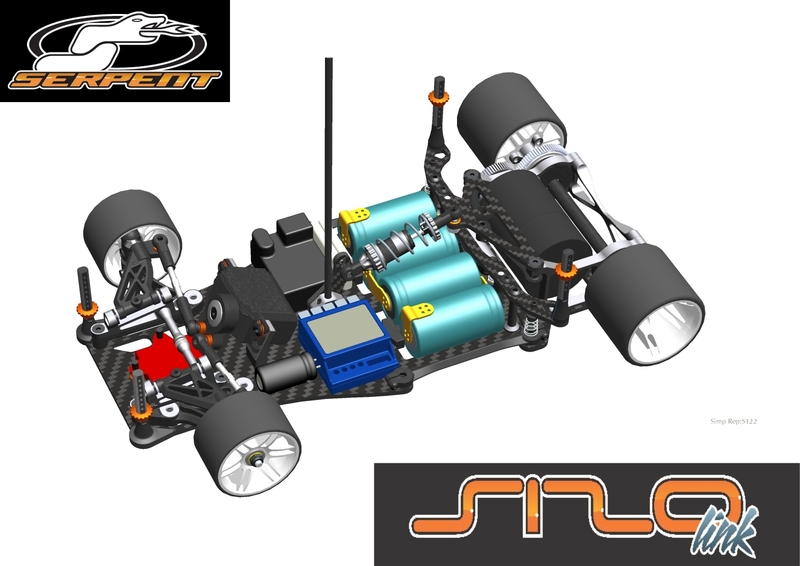 New CR 3.0 link car is designed and tested to be used with either 1S LiPo or 4cell NiMH. Note that despite the new CR3.0 kit, also CR2.0 parts will be available and the development of the CR2.0 t-bar car will continue.